Quality assurance on the basis of self-evaluation is the method of the future. It allows continuous quality control and goal evaluation by the participants themselves, qualifies them to perform responsible self-control, and contributes to continuous quality development. Qualitative, process-accompanying evaluation elements are particularly suitable for self-directed quality control during the implementation phase, implying immediate effects on results. These elements are interactive, facilitating reflection and inclusion of special knowledge within all groups involved. As an external expert for development and implementation processes, I support you throughout the processes of developing tailor-made and convincing evaluation instruments and setting up the communication structures and implementation measures needed to put these instruments into practice. Contents and scale of this quality coaching are defined according to your specific needs. 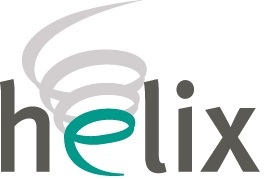 helix-advanced training-programm: Dedicated work in a professional manner. Training courses and seminars: Quality assurance in cultural projects. 3rd report regarding the situation of young people in Austria, Part B: Quality assurance and self-evaluation in organisational youth projects.